Playgrounds are a haven for parents and kids alike. They are places where children can play, explore, and burn off some energy. Many neighborhoods even have playgrounds only blocks apart, and kids have their choice of where they want to swing and slide. Yet this wasn't always the case, and in the early 20th century, a concern for kids' safety became one of the major factors in the playground "boom." 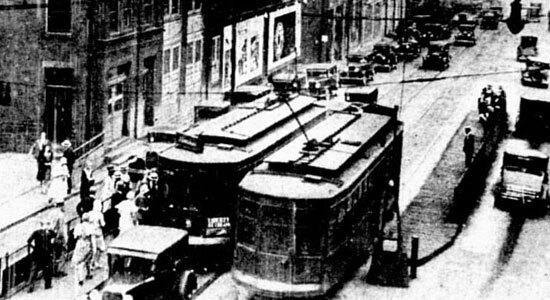 Like many cities, Pittsburgh was quickly growing in the first decades of the 1900s, with people and cars filling the city. There were few public play spaces for kids, so many children took advantage of the only available option – the street. They took their balls, bats, and games to the city's busy roads, and the results were sometimes disastrous. In the 1920s, 60% of car accident deaths nationwide involved children under the age of nine. In fact, the first auto accident fatality in Pittsburgh was 11-year-old Ralph Gibson, who was killed on Grant Boulevard on April 17, 1901. 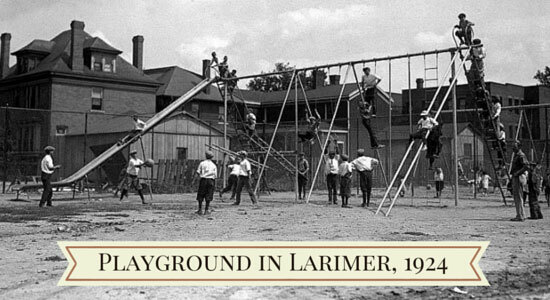 In response to these tragedies, the city began installing municipal playgrounds in the early 1900s, with the first one located at Second Avenue and Grant Street. The first playgrounds were very basic – typically a corner lot with swings, a slide, a sandbox, a small shelter, and some open space. By the 1930s, the number of car accidents killing children had grown so much that Pittsburgh started a program intended to upgrade existing playgrounds and install new ones. The city also started studying ways to improve traffic safety and reduce the number of dangerous streets. The onset of the Great Depression slowed progress, but with the aid of New Deal policies a few years later, the Pittsburgh parks program was back on track in 1935, and playgrounds were built in neighborhoods throughout the city. However, even though kids were off of the streets, a new set of safety concerns arose. Modern-day playgrounds are built with the strictest safety precautions in mind, but this trend didn't start until the 1970s. Before then, playgrounds were built on asphalt or other hard surfaces and most of the play equipment was made out of galvanized steel and chains. While detailed historical records of injury and safety data aren't widely available, there are accounts of just how dangerous playgrounds used to be. According to one report from 1902, a park in Boston was responsible for "…breaking a total of seven arms belonging to six boys, besides other casualties not reported." In 1938, the National Recreation Association acknowledged the need for safe surface materials but offered no solutions as to what those materials should be. By 1940, liability concerns over injuries led to the publication of recommendations for playground workers to reduce the number of accidents. However, there wasn't much progress on the issue, and asphalt and concrete surfaces remained throughout the ‘40s, ‘50s, and ‘60s. Finally, in the 1970s and 1980s, modern-day playgrounds began to take shape. Sharp edges on play equipment were rounded out, and scientific strides led to the creation of artificial turf, engineered wood fiber, and rubber mulch. Today, playground safety is overseen by the Consumer Product Safety Commission and the American National Standards Institute, which have created a Standardized Document and Training System for certification of Playground Safety Inspectors. Unfortunately, even with nationwide safety standards and regulations, playground accidents still happen. In fact, emergency rooms treat over 200,000 kids under the age of 14 for playground injuries each year. Poorly maintained equipment, dangerous conditions, and product defects can all result in serious injuries. If your child – or someone you know – has been injured in a playground accident, we're here to help. 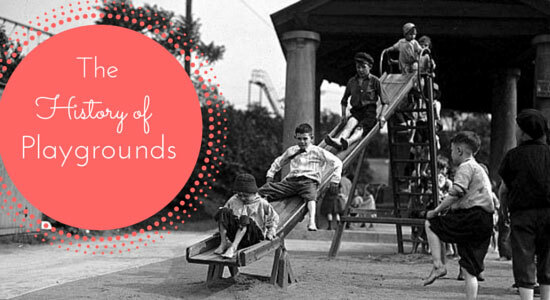 “A History of Playground Safety.” Voice of Play. June 15, 2015. “Evolution of American Playgrounds.” Scholarpedia.com. November 20, 2012. “History of Playground Safety in America.” ERIC.ed.gov. June 30, 2015. “Pittsburgh Firsts: By Event.” Carnegie Library of Pittsburgh. June 26, 2015. “Pittsburgh’s Playgrounds in 1930.” Brookline Connection. June 26, 2015.